Staying lifted as ever, Jet Life returns with the follow-up to last year’s highly-acclaimed album, Jet World Order. 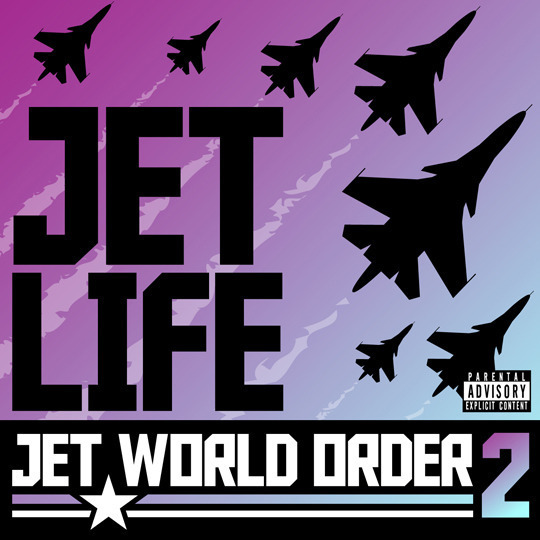 The crew which includes Curren$y, Trademark Da Skydiver, Young Roddy, Smoke DZA, Sir Michael Rocks & more continues to raise the bar and elevate its craft far beyond the limits of aviation with the much anticipated Jet World Order 2. If you’re in the Tri-State area come out to the Jet World Order 2 Album Release Party November 20th at Highline Ballroom. “No Sleep,” the first single off Jet World Order 2 has Trademark Da Skydiver, Young Roddy, and Curren$y spitting bars about their never-ending grind in the studio and on the Road. The song, produced by Fortunate Ones, features heavy bass, dynamic synths, rich choir vocals and a chorus that’s sure to keep listeners high-spirited. Jet World Order 2 hits stores worldwide on November 20th via Jets International / iHipHop Distribution.